PESHAWAR: Qaumi Watan Party (QWP) Chairman Aftab Ahmed Khan Sherpao has said that intellectuals and writers are important national assets because they have the power to shape public minds. He said this while addressing the silver jubilee celebrations of Pushto language journal Leekwal at Watan Kor. On this occasion, a number of prominent Pukhtun intellectuals, writers, and poets also addressed the participants. Aftab Sherpao said that the role of the intelligentsia was instrumental in introducing great changes in the society. He impressed upon the Pushto writers of both Pakistan and its neighbouring country Afghanistan to work jointly with the aim to ease the ongoing tensions in the region. He said that contacts between writers on both sides of the border would help resolve the regional problems. He called upon Islamabad and Kabul to strengthen trade activities on both sides of the Durand Line. He also said that Afghanistan should also be included in the China-Pakistan Economic Corridor (CPEC) and an economic zone like Nowshera should be constructed in Jalalabad area of Afghanistan as well to enhance trade in the region. 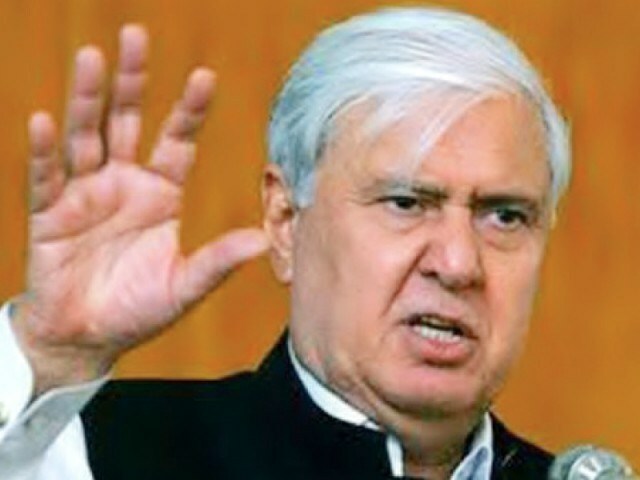 Sherpao regretted that Pakistan and Afghanistan had remained victims of terrorism and extremism since decades and said it was high time for both the countries to revitalise and re-establish cordial relations with each other so as to bring long-lasting peace and economic prosperity in the region. He said that unity among the Pukhtuns of the region was the need of the hour to ensure that peace returned to the entire region. He further said that QWP had been raising its voice for the merger of the Federally Administered Tribal Areas (FATA) with the rest of Khyber Pakhtunkhwa (KP) province. He also said that KP-FATA merger was important for the unity of the Pukhtun nation, which would provide them the platform to raise their voice on the national level. Moreover, Sherpao said that Pukhtuns had rendered great sacrifices for the cause of Pakistan but they had not been rewarded in any way, let alone being given their due rights. He added that the only objective of QWP was the welfare of Pukhtuns and the party would continue its struggle in the same direction. He said that any stop-gap arrangement short of FATA-KP merger would not be considered as a long-lasting solution to the problems being faced by the tribal population. He said the complete merger would help redress the grievances of the tribal people in a more effective way. He contended that the merger would also help strengthen the unity of Pukhtuns and would usher in a new era of progress and development. Lambasting the federal government, Sherpao said that the smaller federating units had been denied their financial resources, which in turn had made the lives of the masses miserable. He regretted the fact that the federal government was not showing any interest to resolve the problems being faced by the people of KP, adding that such an attitude would only increase the mistrust between the federation and the smaller federating units. He also regretted that the longstanding issues of Pukhtuns had been put on the backburner, thus leading towards a sense of deprivation among this ethnic group.